Loc8 provides five default statuses: Operational, Decommissioned, Procured, Commissioned and Disposed, defined under three broad statuses - Active, Inactive and Scrap. 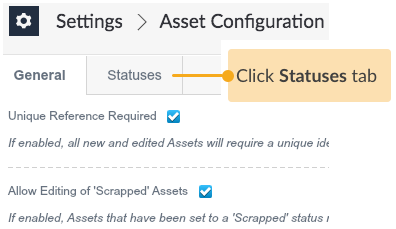 You can either edit the default statuses, or simply add interim asset statuses, such as Relocate, Modify/Upgrade, Reuse etc., to closely represent the real world condition of an asset. The statuses not just provide means to categorise your assets, but also supply more data to derive explicit reports on all assets recorded in Loc8. 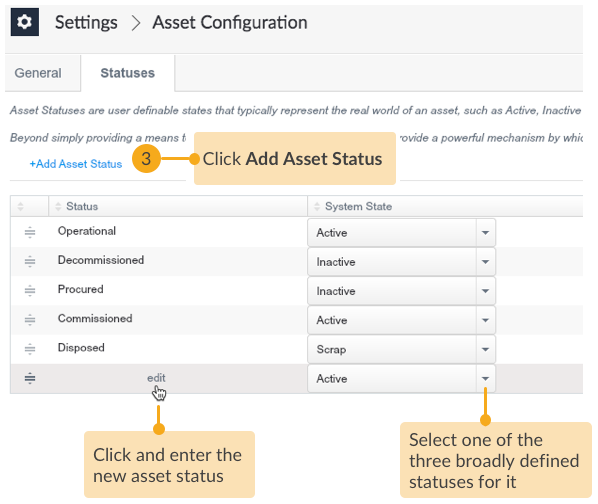 Knowledge on which broad statuses (Active, Inactive or Scrap) will the newly added asset statuses be configured with. 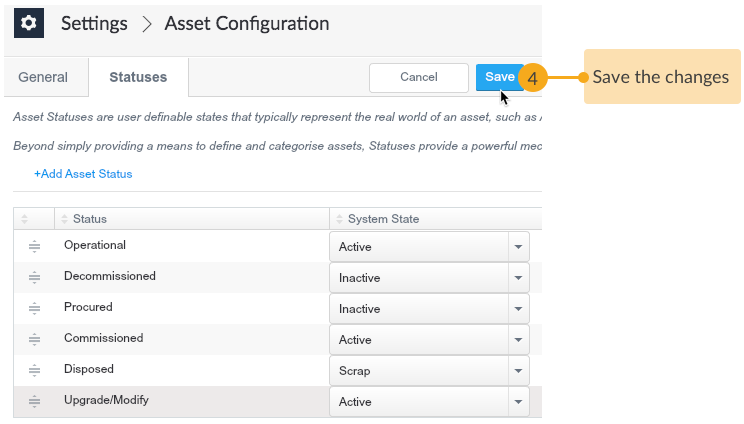 Knowledge on which status would be the default asset status for a new asset created. STEP 2 Open the Statuses tab. 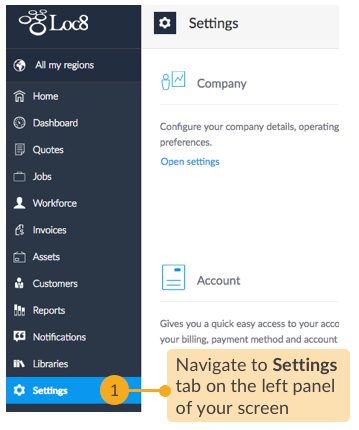 STEP 3 Add new status for any interim asset status. Now, once you have created an asset, select an appropriate asset status from the asset inspector.